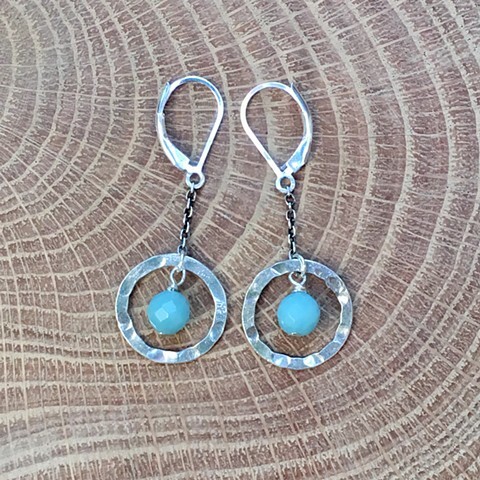 Light and airy, hammered sterling silver circles surround 6mm amazonite beads hanging from oxidized sterling chain. Sterling lever back ear wire. Approx 1 1/2"